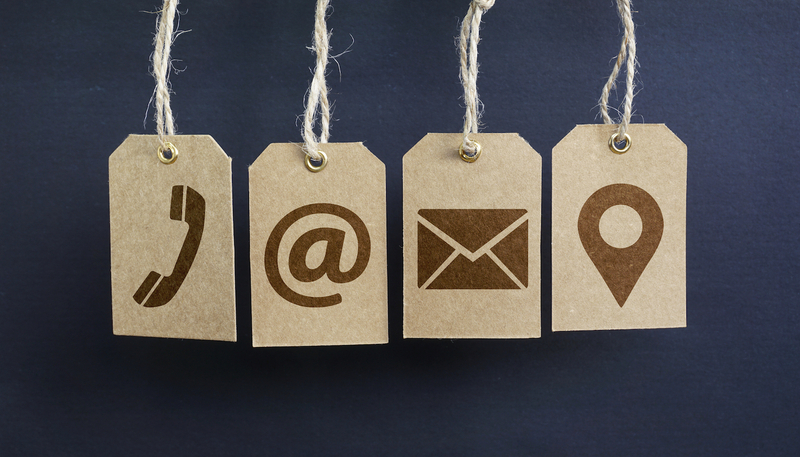 When you add a contact to your Dial 9 address book, you'll be able to see their name as part of the Caller ID when you receive a call from them, and, in most cases (such as with the Dial 9 Phone app) find them in your address book to be able to call them without dialling their number first. 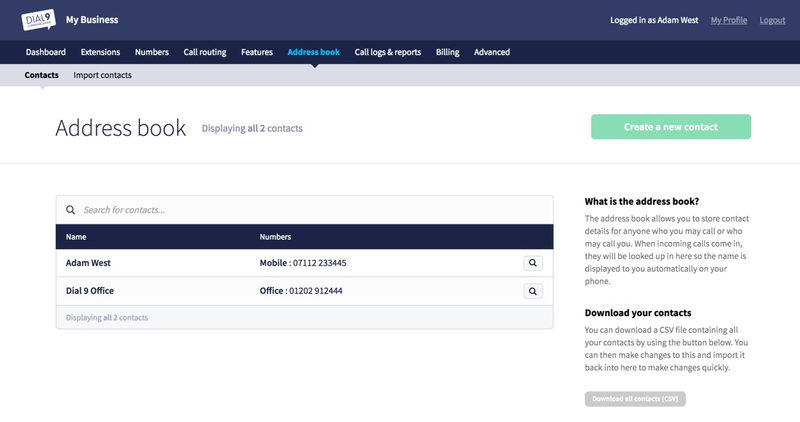 We've just added a new feature that'll make your lives a lot easier when managing large numbers of contacts in your Dial 9 service - the ability to import them en-masse via CSV! Head to your Address Book in Dial 9 Connect as normal, then to the new Import Contacts page just below. 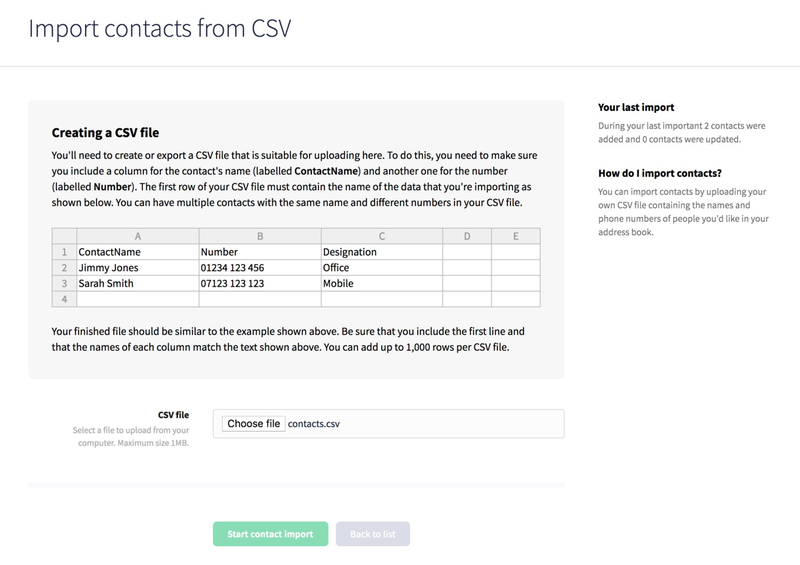 You'll be able to upload your CSV file (in the format specified above), then we'll process and add each contact to your address book. You may also wish to export your contacts for use with another service such as an email provider, we now provide the option to download them in CSV format as well. Head to your main address book page, then use the Download all contacts (CSV) button on the right hand side. We hope you find these new features useful! Do get in touch with us if you have any questions.